Walking is the most common form of physical activity of American adults. It has been linked to a lower risk of developing diabetes, colon and breast cancer, and heart disease. A large ongoing cancer study, done in the United States, reported that regular walking, compared to inactivity, has been associated with a decrease in deaths from all causes of mortality. This study included more than 62,000 men and 77,000 women and began in 1999. The mean age at the start of the study was 69 for women and 71 for men. This new study found that as little as 120 minutes a week of moderate-intensity walking makes a big difference in a person's life span. Moderate intensity is not power walking or jogging but it is a brisk speed of walking of about 1 mile in 20 minutes. This speed usually causes a slight increase in your breathing rate. This study was a prospective study of cancer and mortality known as the American Cancer Society's Prevention Study (CPS)-II Nutrition Cohort. Participants of the study who started the study as "inactive" individuals were found to be 26% more likely to die a premature death when compared to the study participants who reported that they were walking prior to the start of the study. The age-standardized death rate for "inactive" participants is 4293 per 100,000 people. The rate of death for people walking but walking less than the recommended amount was 2851 per 100,000. A reduction of 1,442 deaths per 100,000. Further reduction in mortality was also shown in people who walked 1 to 2 times more than the recommended level. This level of exercise resulted in the prevention of an estimated additional 763 deaths per 100,000 people. Walking is beneficial for low back pain, sciatica, disc herniations and generalized pain. Regular walking has been shown to decrease the reoccurrence of back pain. Walking helps improve the aerobic conditioning of muscles and this helps decrease the pain and disability associated with trigger points and conditions such as fibromyalgia. Walking increases balance and stability by conditioning postural muscles that help prevent falls and keep the body in an upright posture. Strengthening of the feet , legs, hips, torso and back muscles occurs with regular walking. The movement causes by exercise improves circulation, increases nutrient flow into muscles and intervertebral discs. Physical exercise, like walking, also helps our body drain toxins. Regular walking stretches muscles and improves range of motion in the spine and extremity joints which helps you move more synchronously. Smooth synchronous movement spreads the mechanical forces of walking more evenly allowing the body to absorb unexpected jars and jolts with less injury to the joints and muscles. Always consult with your medical doctor or doctor of chiropractic before starting a new exercise program. Your doctor of chiropractic specializes in treating back and neck pain and can provide your with additional exercises and treatment to help you live a pain free life. If you have any questions about exercise and back pain, Dr. Greg L. Crawford D.C., D.A.B.C.O. 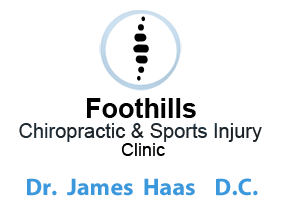 can be contacted at Foothills Chiropractic in Fort Collins , Co at 970-493-2015.